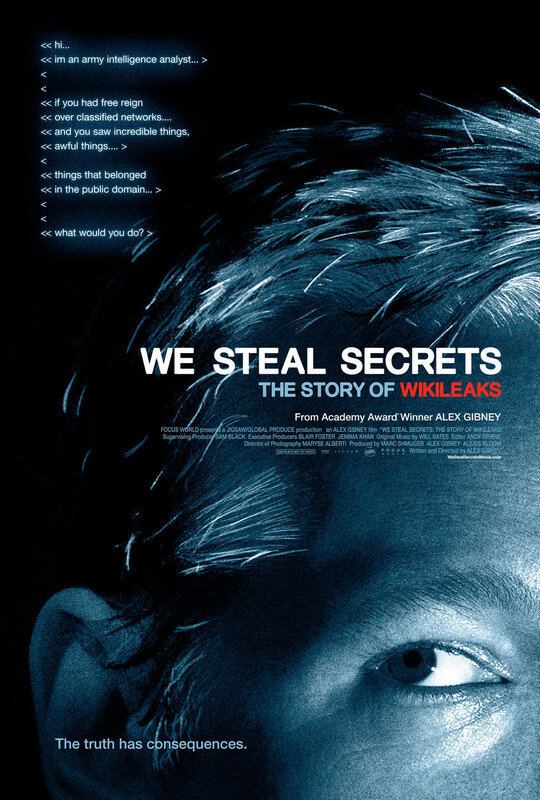 Filmed with the startling immediacy of unfolding history, Academy Award-winning director Alex Gibneyâs We Steal Secrets: The Story of WikiLeaks is a riveting, multi-layered tale about transparency in the information age and our ever-elusive search for the truth. Detailing the creation of Julian Assangeâs controversial website, which facilitated the largest security breach in U.S. history, the film charts the enigmatic Assangeâs rise and fall in parallel with that of Pfc. Bradley Manning, the brilliant, troubled young soldier who downloaded hundreds of thousands of documents from classified U.S. military and diplomatic servers.